This button front, round neck warm-up jacket features front princess seams for shaping, dropped shoulder, front large patch pockets, one WonderWink signature pocket, rib knit cuffs that can be worn tucked in or out, and tagless neck. Center back length: 29¾". This boot cut cargo pant features a full elastic waistband with drawstring, back patch pocket, forward side seam, reinforced front seam pockets, double knee stitch detail and side vents for ease of movement. Regular inseam: 31". Petite inseam: 28½". Tall inseam: 33". This v-neck top features shaping panels at waist and sides, angled yoke at shoulders, tagless neck, styled back yoke with locker loop and logo, two front pockets with hidden utility loop, and secret mesh pocket in pocket. Center back length: 27¼". 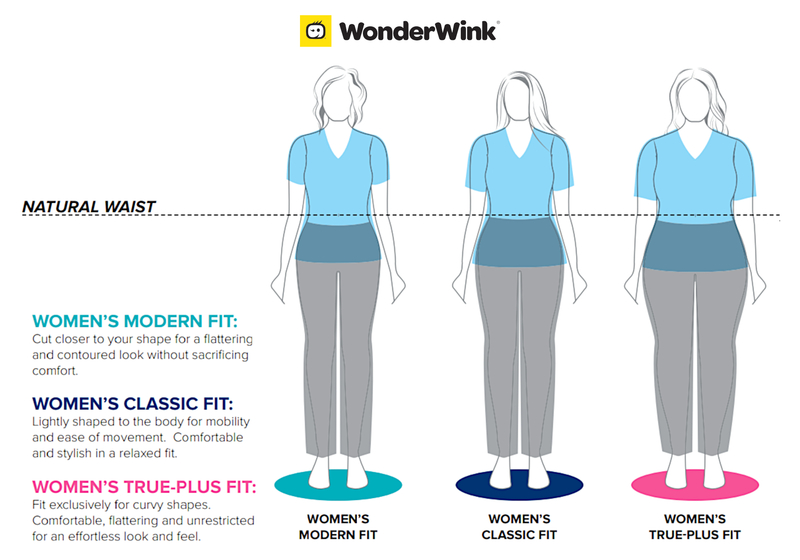 The same great fit and feel as WonderWink's popular long sleeve Silky Tee (style# 2009), now with a short sleeve option. This tee offers WonderWink's proven, luxurious feel fabric and the longer length for the up-to-date modern trend. Indulge yourself, twice! Center back length: 27¼". A fashionable twist on the classic long sleeve tee for those who love soft and luxurious fabrics. The tee features extra long sleeves that create a modern look that's up-to-date with the latest trends. Indulge yourself. Center back length: 27¼".